One last crucial step before claiming that glorious CSCS card is sitting your CSCS test. Or in other words, a Health & Safety Environment Test. As CSCS insists that you know your stuff when it comes to health and safety you just can’t progress without the test! Luckily, booking your CSCS test is a nice simple process. Step 1 – Which Card do you need? Before you can really start thinking about taking the CSCS test, you need to consider which CSCS card you’re aiming to get. It needs to be relevant to your trade, obviously. Different cards require different qualifications to get, they all require an NVQ but this needs to be relevant to the trade skill of card you’re attempting to get. NVQ’s aren’t interchangeable when it comes to a CSCS card. Before you book your CSCS test, it’s a really good idea to make sure you have all of your key information to hand. It certainly doesn’t help to have to rush around while on the phone looking for your personal details. Have your National Insurance Number and your NVQ qualifications to hand as it’s difficult to memorise this kind of information and pull it off the top of your head. 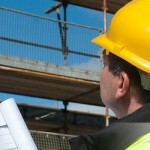 Step 3 – Book your CSCS Test! It really couldn’t be simpler, you can book a CSCS test online through various CSCS affiliated websites and companies. The steps are laid out and it’s always a relatively easy process to navigate your way though and get a time and test location booked. If you’d like a little more advice on cards and the CSCS test, you can always try calling a company instead. That way you can discuss with a team member about things like when to take your CSCS test, getting revision materials beforehand or even which CSCS card may be the best for your skill set. The handy thing is that a CSCS test only takes about 45 minutes and, in most cases, you can choose a time and a location that are most convenient to you. Pretty good right?